t*rexes and tiaras: Sew, a needle pulling thread.. The first outfit post for a while. I must admit, I've been suffering a lot more than I'd realised with a bad case of the body blues. I am always being told to focus on the good points, find something I like. Seriously? I stood in front of the mirror at the weekend and started to cry. There is not one good thing, as far as I can see. 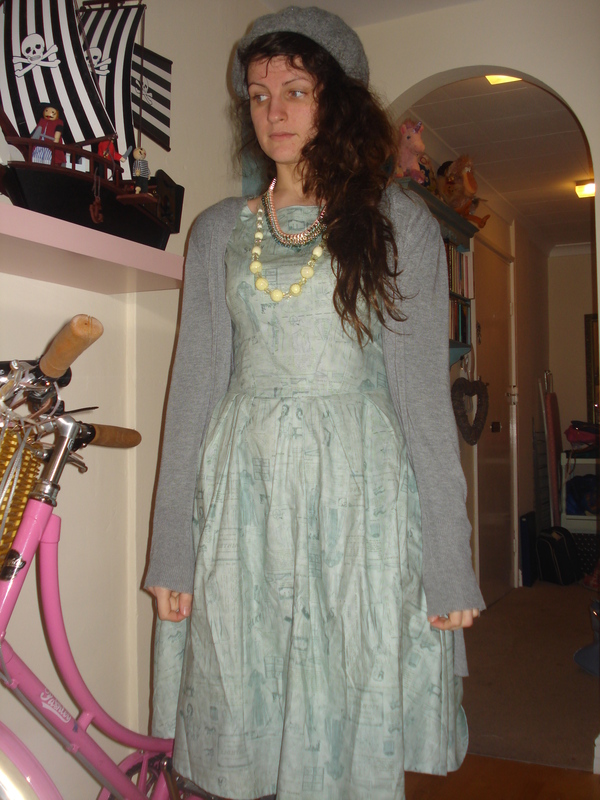 But, a new dress, made by me in a recent fit of sewing inspiration? That's got to be a good thing, right? 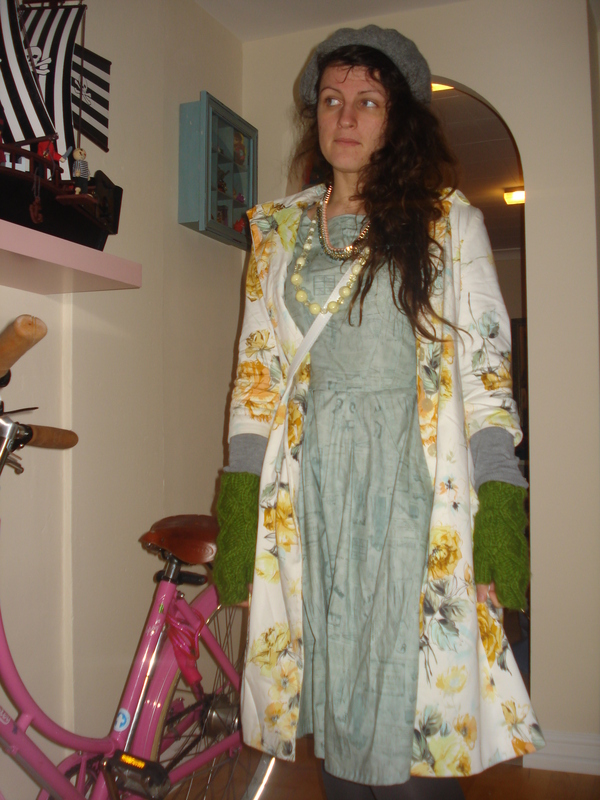 I wore this dress the day after I'd made it, just to run some errands in town. It was cold and rainy, so I had to layer up in. 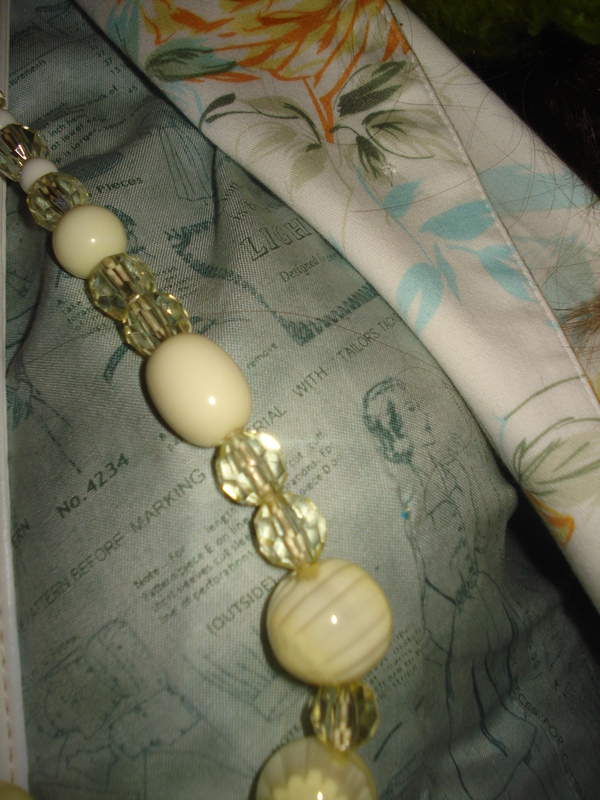 I liked the weird mix of the yellow floral print on my raincoat (I wish I could remember the make of this, it was a recent ebay bargain). 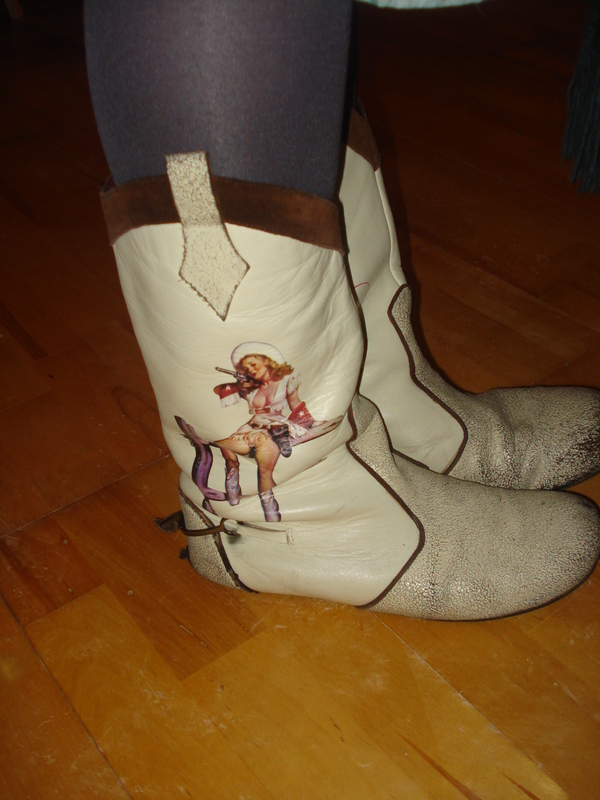 I also finally dug these boots out of storage, for the first time in ages. And then promptly remembered why I haven't worn them in a while, when the water started seeping through the hole in the sole and my toes were getting icy cold through my tights and socks. In actual fact, these boots were worn to death when I was back in college. 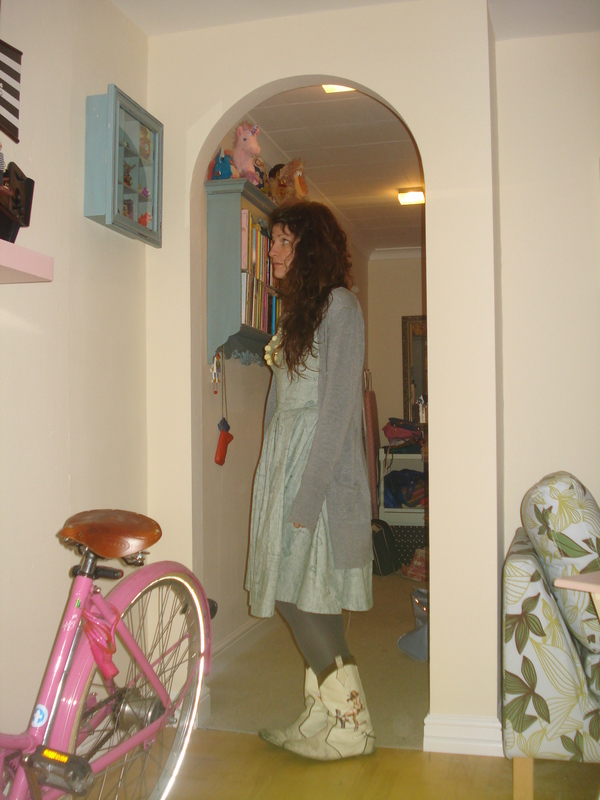 They're one of my first pairs of Irregular Choice and at the time were a very expensive Schuh purchase. I wore them almost every day and loved them dearly. So much so that a lovely friend bought me a replacement pair for Christmas, the following year. A replacement pair which have stayed in their box, in mint condition, pretty much since I received them. I think I'm too scared of wearing them because, you know, what if I wear those ones loads as well and wear them out? Ridiculous? Maybe. Would you do the same, though? 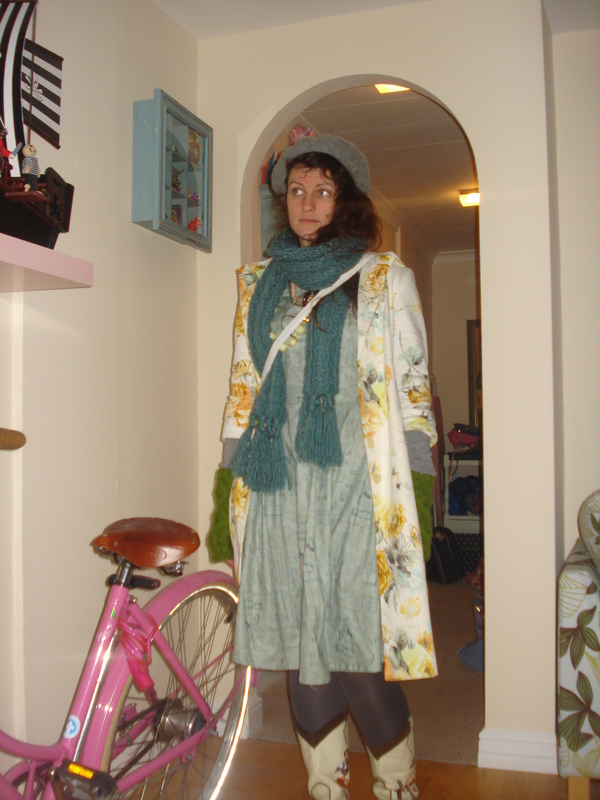 A very cheery outfit - who says winter clothes should be dull and grey (says the woman with a high percentage of grey in her wardrobe! ).